Recovering from note ban and introduction of GST was tough, but the manufacturing industry in India has managed to get through the worst, even if it isn't fully out of the woods yet. 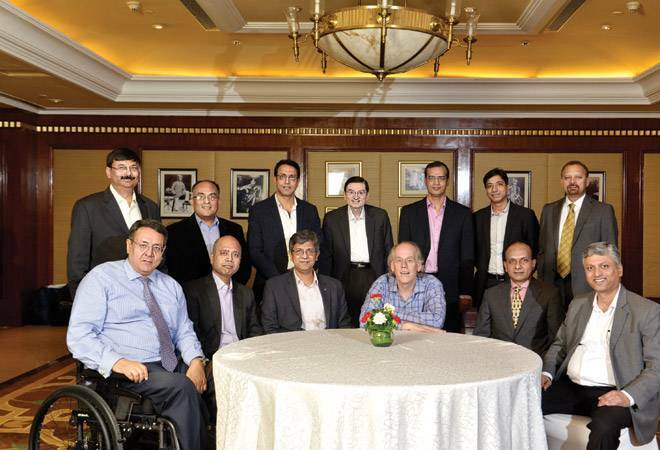 ON December 20, 2017, Business Today invited 11 of corporate India's visionaries to a roundtable discussion on India Inc's status in manufacturing and how to shape the future. The event saw passionate debates on solutions for fresh capacity investments, future manufacturing trends, and strategies to achieve high impact business outcomes through analytics. With only 70 per cent capacity utilisation, evidently no one felt the worst was over, but those heading FMCG and consumption sectors were happy with the growth seen in the second quarter. On the other hand, those in the capital goods sector were quite vocal about "anaemic growth" over the past four years and were nothopeful about growth. There is also the unique position of sectors such as, pharma, refineries and petrochem where demonetisation and GST had no impact, in part due to the play of global demand and supply balances. Almost everyone at the roundtable agreed that the private sector would not be comfortable with investment until capacity utilisation picks up. The Chief Operating Officer at Mahindra Logistics, Sushil Rathi, said: "Notwithstanding the challenges, for the last six months or so, business has been picking up, except for capital goods". Tata Industries' Executive Director K.R.S. Jamwal said: "Despite some recovery in the economy, the scenario for capacity addition hasn't been reached... will need to see sustained demand. What I am hopeful of is that we will have moved ahead of the impact of GST in the next three to six months". There were concerns that with the 2019 elections round the corner, political pressure to come up with populist measures for rural India shouldn't reduce the focus on the ease of doing business in India. The roundtable was in agreement that the government could address labour reforms and concentrate on increasing employment. All eleven CxOs said there was a sense of awareness in the corporate world "that you are either digital or you are extinct". Deepak Iyer, Managing Director of Mondelez India, said, "Digitisation has so many benefits, overt and not so overt", and pointed out that India needed to embrace it faster. India Inc seems to view digitisation as a tool to improve internal operations and customer experiences. DAMCO's CEO, Vishal Sharma, said: "The use of digital (technology) will be a key factor in whether a firm becomes more relevant or obsolete." Marico's Mukesh Kripalani, Chief of Business Process Transformation, called for focussing on data-driven services to provide an ecosystem of new services and products for consumers as opposed to the traditional offering of only the product. Digitisation, however, brings its own set of challenges that have saddled India with an undesirable image in the global circuit. The lack of a younger workforce, ageing leadership distrustful of new technology has resulted in India Inc's image taking a massive hit. Reliance Industries' Par Singh, President - Manufacturing, opined that the challenge was not merely getting the right people and competencies but also the right leadership - "willing to learn" even as they lead. A key fact that emerged during the discussion was data analytics, its utilisation, and how that ties in to returns in investment. As leaders in their respective sectors, a majority of the attendees at the roundtable felt the willingness of leaders to take risks in business environments to carve out disruptive models was the key to success.